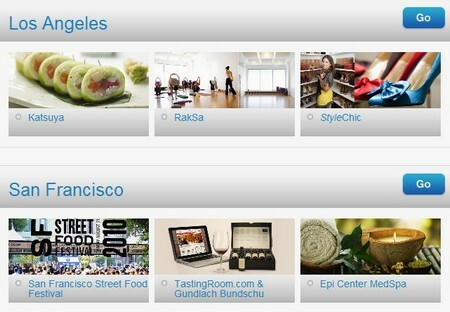 Win Lucky Shops LA, VIP Tickets! Wanna get Lucky? Lucky Magazine is coming to Los Angeles and I’ll be there to welcome them with open arms…well that is until I fill my arms with all the fabulous fashions they are bringing with them!! 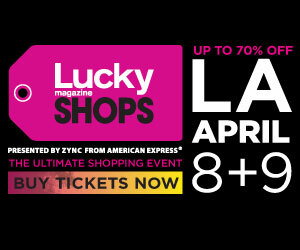 *Attention West Coasters on April 8 & 9 Lucky is bringing their flagship, deal-scoring event right on over to sunny L.A. Dig into deep discounts of your favorite designers (up to 70% off!) along with some pretty amazing giveaways, music and delicious complimentary and cocktails. Not just for the Lucky Moms but the Lucky Kids too! To celebrate the brand new launch of Lucky Kids Magazine. They’ll have a “Lucky Kids‘ Kidding Around Zone” filled with kids clothing! Or you can WIN 2 Tickets from ME for VIP Night! WIN 2 tickets to the VIP Night and shop with Me! 1. Leave a comment telling me why you deserve to get Lucky? For more info and up to date details visit Luckyshops.com and the event’s Tumblr and follow them on Twitter! I deserve to get lucky because I love fashion and would love to see what Lucky kids is all about. I have two kids and I sell children’s clothing. 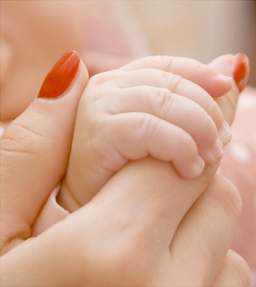 I deserve to get lucky, well b/c doesn’t every mom deserve to get lucky. I would love to get lucky! I’m a Mom of three-year-old boy/girl twins, with a full-time job in philanthropy. In addition to all that, my best friend, and fellow twin Mom, and I are launching a new business (geared to Moms!) and I could definitely use some help with updating my not-so sassy or savvy wardrobe and picking out some great stuff for my kids. We’ll be having our website photoshoot soon! I deserve to get lucky because I’m actually going to be in town and would love to go to this event! I’d love to go! It’s such a cool event and I SO need a night out! I am obsessed with fashion, lifestyle and beauty and love sharing my discoveries with other women and spreading the word. Oh and I love to shop too! 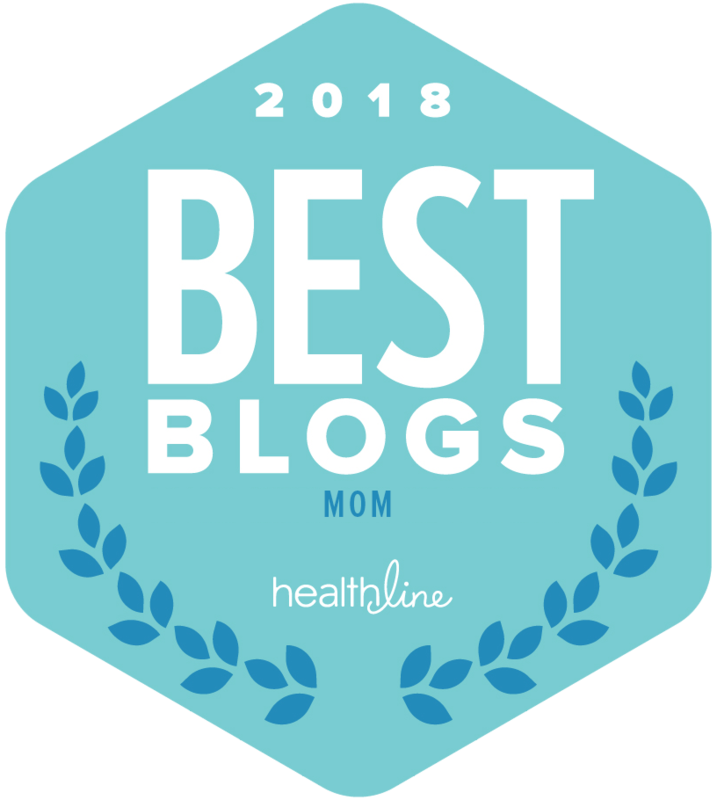 Plus I adore Lucky magazine (have been reading it since it first came out) & I also LOVE your blog and think you have truly set a precedent for other moms who want to keep their sassy on even after kids-YOU ROCK!! I deserve to get lucky because I love fashion and Lucky magazine. Also, I know I have to work on April 8 and 9 so this would give me the ultimate excuse to ditch work (“hey I can’t let these go to waste! !”) otherwise I might have to be…dun dun dun… a responsible grown-up. 🙁 please please please!!! !